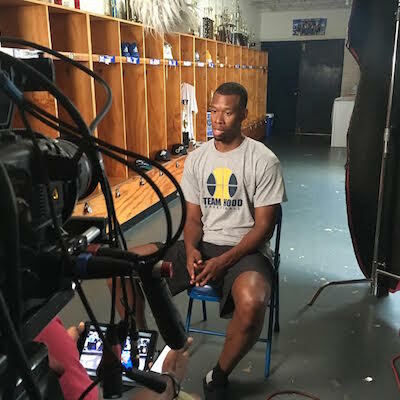 Our Atlanta video camera crew, Brent Ebell, went behind the scenes with NBA star and philanthropist, Rodney Hood, for a special Turner Sports feature. Rodney Hood grew up playing basketball in Mississippi. He played for Meridian High School where he led the team to two Class 6A championship games. He was quickly sought out by Mississippi State University. After a great season, he transferred to Duke for one more season and then headed straight to the NBA. He was the shooting guard for the Utah Jazz for four years and was recently acquired by the Cleveland Cavaliers in a big trade. In his downtime, he heads back to his roots in Mississippi. Hood helped found the Mississippi Express Basketball Organization, which promotes and develops youth basketball in the state. His father has been working with the Boys & Girls Club for 20+ years, and he wanted to follow in his footsteps and make a difference in children’s’ lives. Through the MS Express, he has developed the R. Hood Basketball Camp. The camp is very successful and keeps kids off the streets and on the court instead. How many chances do kids get to play basketball with their NBA heroes? Our Atlanta video camera crew was called upon to help Turner Sports tell the story of Hood’s camp. We followed him as he spoke to the kids, practiced drills, roll calls, friendly competitions and B-roll of all the excitement. He really emphasized teamwork and sportsmanship. It was great to see someone return to their community and give back in the way they know best. For Hood, basketball was the way to go. 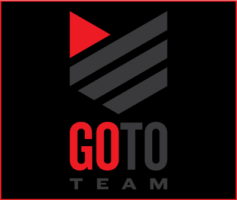 He is helping to develop the next generation of young athletes. We love going on and off the court with Turner Sports and the great athletes they feature. We’re excited to see who’s story they will tell next.